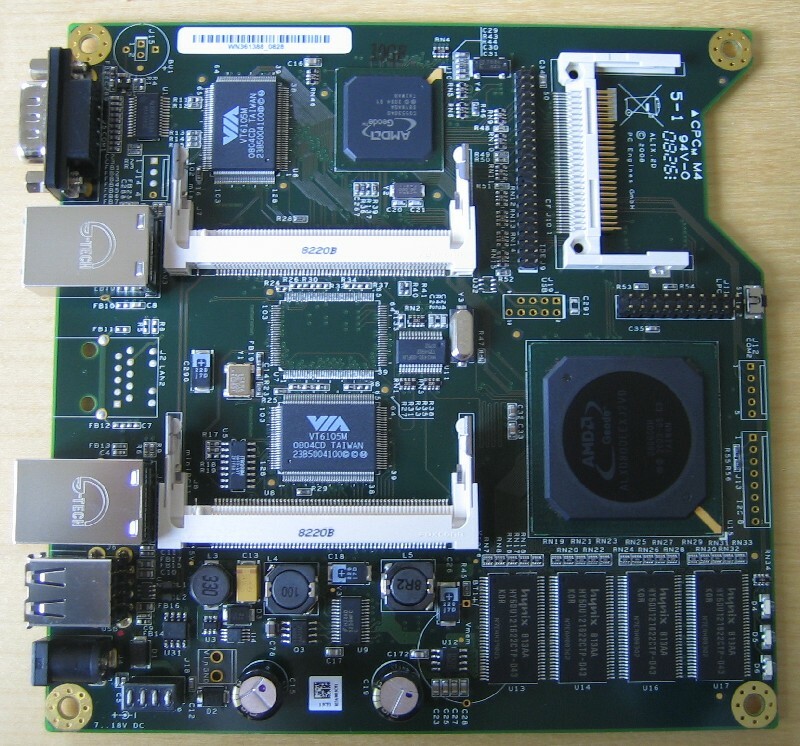 I've been looking for a small box to act as a firewall and OpenVPN server, and someone pointed me at the PC Engines Alix2 - a delightful little AMD Geode board, with up to 256M, three Ethernet ports, USB, CompactFlash, miniPCI and a serial console. The Geode is a 486 class processor, so will just run NetBSD/i386 directly. The easiest option would be to put the Compact Flash card into a normal PC, install as normal, and set the boot blocks to use the serial console. Of course this assumes that: (a) you haven't already put the CF card into the Alix and assembled the case, and (b) you're not in the process of redecorating your study, the contents of which have been decanted into a huge pile in the kitchen, with your only CF equipped machine at the bottom. So, a good opportunity to test netbooting and install, which I've been doing on Suns and other machines since early 1990's, but this is possibly the first time I've done it on an x86 box. I'm going to use my T500 running NetBSD/amd64 as the server. All that should be required now is to select PXE boot and away we go. It is at this point that I will reveal that while the NetBSD PXE boot program is more than happy to speak to the console at the speed it is given, when it goes to load the kernel it seems to switch to 9600 baud (at least as on NetBSD 6.0_RC1). Rather than relate the actual sequence of events (which involved the NetBSD boot startup, go to load the kernel, then some time of watching a non-responsive screen, followed by a "hmmm", and a retry... closely followed by another retry with tcpdump running, a quizzical expression and finally a minor baud rate epiphany, I'll continue as if I already knew about the baud rate issue (purely to make me seem more forward thinking). which we need for the netboot server. We could extract a full NetBSD/i386 distribution onto the NFS server and export it to the Alix, but a diskless network routing box which requires an NFS server to run seems a little... perverse, so we'll just use a NetBSD INSTALL kernel. The Alix is at 192.168.2.3 and named "alix"
The directory to NFS export will be /export/alix"
Edit /etc/inetd.conf, uncomment the line starting "#tftp"
Edit /etc/exports and add a line "/export/alix 192.168.2.3"
Add the following lines to /etc/rc.conf "mountd=YES", "nfsd=YES", "nfs_server=YES"
type "?" or "help" for help. Followed by the sysinst screen. The only thing to remember is that when prompted to install the boot blocks, select the serial console version, and your preferred speed (I went back to 38400 at that point). 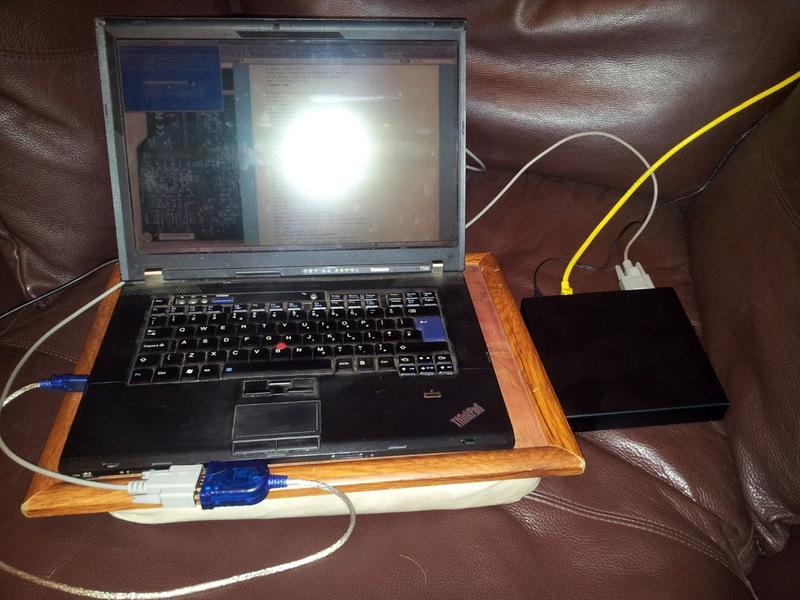 nice post, how did you setup your captive portal and squid? Did not bother with squid in the end, just openvpn, with a few custom scripts. The main feature was including a set of certificate in the build image and then allowing the end user to switch certificates/VPNs, so a single build image can quickly be set to be a given VPN client.